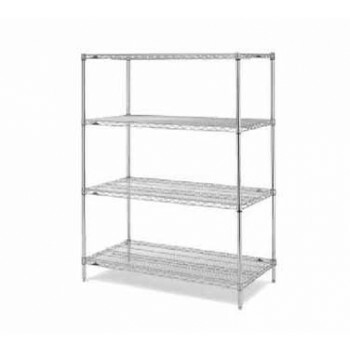 Commercial shelving comes in easy to assemble kits and with a variety of accessories. Kits are packed for your convenience and easy assembly, providing shelves, posts, sleeves, bumpers, and when needed, casters. If you’re simply looking to add a shelf or a set of casters, or if you need a set of sleeves, myBoelter carries all items separately as well. Aluminum, chrome, epoxy sealed, or zinc finished, we have your bases covered.